There’s an old proverb: Buy cheap, buy twice. Replacing or repairing a low quality item is like buying it all over again. Not a good deal. 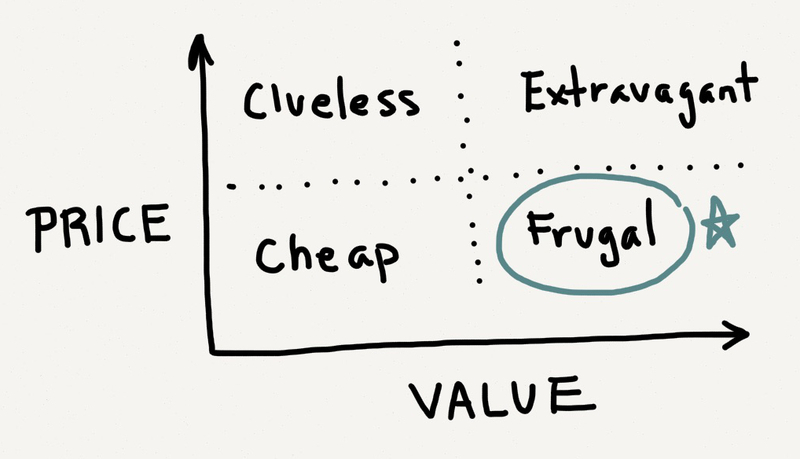 Frugal consumers pay low prices for high value. 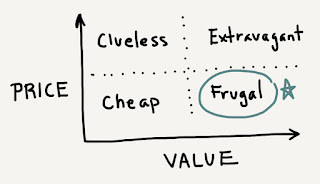 Cheap consumers pay low prices for low value. Extravagant consumers pay high prices for high value. Clueless consumers pay high prices for low value. The next time your kid evaluates a purchase, pull out the chart. Where does the item fall in the price/value spectrum?